INDUSTRY.co.id - Pekanbaru - The price of fresh fruit bunches (FFB) of crude palm oil (CPO) in Riau for ages 10-20 years in the period of 27 June to 3 July 2018 was recorded at Rp1.652,61 / kg or decreased by Rp92,24 / kg compared the previous week's price of Rp1,560.37 / kg. According to him, for the selling price of CPO, PTPN V decreased by Rp581, 33 / kg, PT Sinar Mas Group decreased the price of Rp219, 68 / kg, and PT Astra Agro Lestari Group decreased the price Rp418, 18 / kg. He continued, PT Asian Agri Group decreased the price of Rp386,28 / kg and PT Citra Riau Sarana decreased by Rp220,00 / kg from last week's price. PT Sinar Mas Group's kernel selling price decreased by Rp604,55 / kg, PT Astra Agro Lestari Group decreased its price by Rp676,37 / kg and PT Asian Agri Group decreased Rp608,73 / kg. 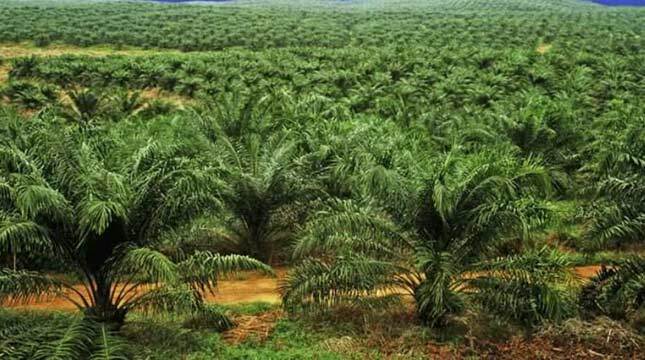 "The price of CPO Riau CPO from PT Citra Riau Sarana decreased by Rp573.00 / kg from last week's price," he said. While the external factor that triggered the fall in CPO price of CPO Riau is the world CPO price stranded at the lowest level since 2016. The heating of US and Chinese trade war conflicts, as well as the uncertainty of European exports caused the prices of these plantation commodities to continue depressed after Ramadan. On Wednesday's trading (20/6) at 17.00 GMT, CPO price of September 2018 delivery contract on Malaysian Derivative Exchange continued to decline to RM 2.260 per metric ton or down 0.13 percent from the previous day's price. "This is the lowest price level of CPO so far this year, even since September 2016. During this time Europe became the second largest importer of crude palm oil in the world after Asia.Content of CPO in Eastern Europe was dominated by products from Indonesia and Malaysia," he said. He mentioned that the price of CPO Riau for three years is Rp1,182.82 / kg, the age of four years Rp1,321,06 / kg, the age of five years Rp1.413,72 / kg, the age of six years Rp1.455, 11 / kg, age seven years Rp1.510,71 / kg, age eight years Rp1.557,79 / kg, age nine years Rp1.607,69 / kg, and age 21 years Rp1.612,01 / kg, age 22 years Rp1.570, 76 / kg, and age 23 years Rp1.530, 16 / kg.